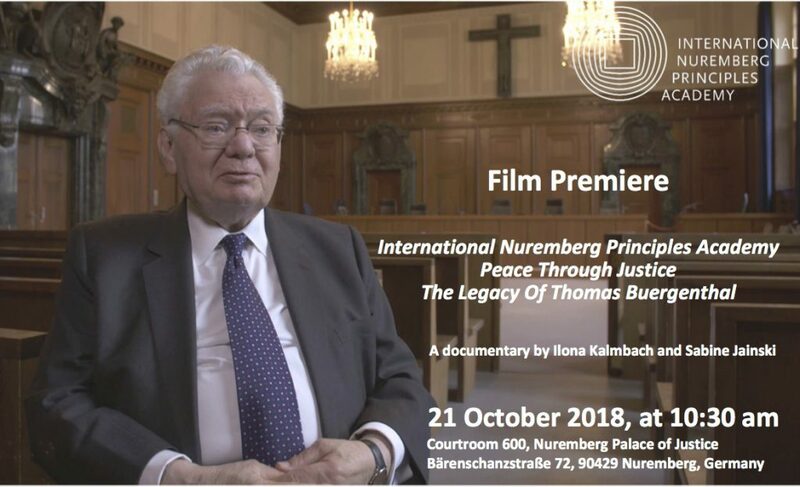 The documentary presents the life and legacy of Judge Thomas Buergenthal, Honorary President of the Nuremberg Princinples Academy, 70 years after the adoption of those principles and the Declaration of Human Rights: seeking for accountability without revenge, and promoting human rights worldwide. It also shows the work of the Academy in dealing with Crimes Against Humanity in our times, and training young law professionals. 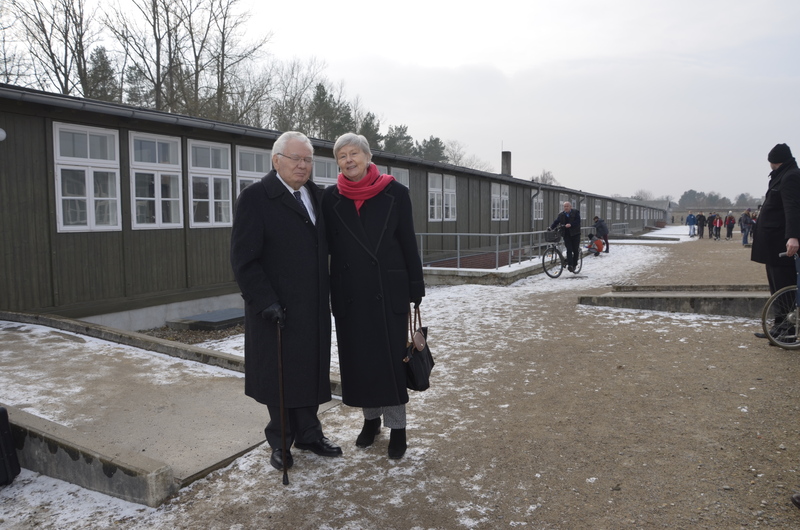 Thomas and Peggy Buergenthal in Sachsenhausen, where he was liberated at age 11. Thomas Buergenthal’s life is exemplary in many ways. Surviving the Holocaust at age 11, he witnessed the aftermath of the war in Germany and emigrated to the U.S., where he made a model career in international law. As a professor, he was one of the first to establish the field of International Human Rights Law. In addition, he served as a judge on many international courts, including the International Court of Justice, the Inter-American Court of Human Rights, the United Nations Truth Commission for El Salvador and the U.N. Human Rights Committee. 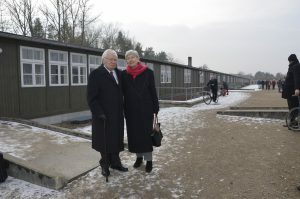 Although Thomas Buergenthal and his family were deported and his father killed in Buchenwald, he overcame his desire of vengeance to deal with this past by a rule of law approach, which he transmitted to his students all over the world. As honorary president, he continues to work with the Academy to pass on his legacy to never forget, to treat the victims of such crimes with utmost delicacy and to listen to their stories, and to judge criminals by application of international law, which should be further developed by the coming generations of law professionals. 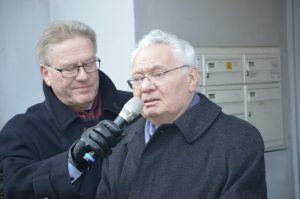 The documentary accompanies Thomas Buergenthal and his family in Nuremberg, in Sachsenhausen and in his home town Goettingen, where Stolpersteine (stumbling stones) were laid for his family. We also follow him to in Washington, D.C., where he taught for decades at the George Washington University Law School. ← Protest Generation 2018: Apathetic or radical?